Read some texts. Watch some videos. Page through the slides. 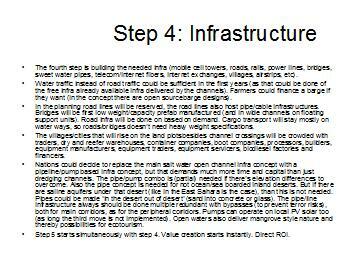 See the Desert Development PPP document. See the Global Desert Exploration Model document. See the Global Desert Investment Economics document. See the Global Boat Migrants Solution document. 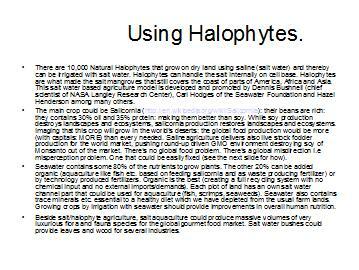 See the Ending Global Poverty By Sea Water document. 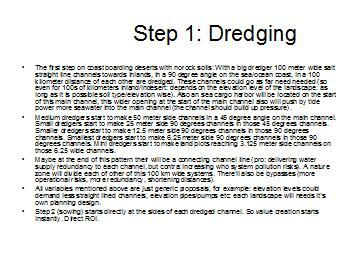 See the Sea Water Based Desert Greening document. 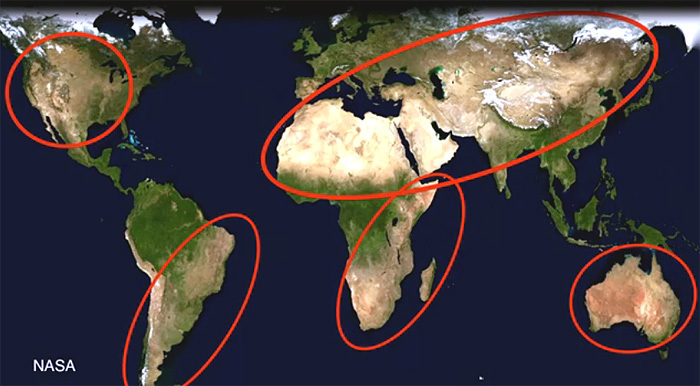 More than 30% of earth's land mass are deserts. Deserts can become a national asset. Just like oil. Just by turning deserts fast into productive areas. By using (and not fighting) the concepts of nature. Delivering nations yet not explored desert revenues. Huge economic and monetary advantages for nations. Productive capitalism (market driven wealth distribution). Not financial capitalism (wealth concentration). Open model: no patents on crops/models/technology. Patents are just an imperial taxation of the Global West. Students can do their promotion research on all facets. Joint ventures with national/regional/local governments. Capital free model for nations (just by two signatures). Turnkey model for nations (just two signatures needed). Delivering soil biodiversity (>30 species of grasses). Delivering hedge row biodiversity (many crops/species). Positive regional climate effects due water presence. Improving life stock health: severe less diseases. Reducing the price of quality food (approval ratings). Facilitating nutrition diversity (better public health). Delivering health by food (lowering healthcare costs). Preventing global rainforest destruction for soy/palm. Feeding the world. Powering the world. Watering the world. Employing the young generations in emerging nations. Creating global stability. Ensuring regional peace. Making the world a good place for the 9 bn people of 2050. Delivering national food/energy/water security to nations. Breaking the food DNA monopoly agenda of Monsanto. Breaking the energy controlling agenda of global empires. Avoiding the Kissinger Doctrine (global power grabbing). National DoDs could be part of the management. Almost fully use of local employees (training included). Empowering nations in the Global South and Global East. No pushing of WB/IMF credit (out of instead of into debt). Sharia compliant food commodity future contracts. Supporting meat/dairy/food exports and export finance. 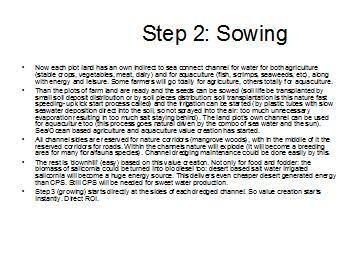 Aquaculture also integrated: fish/waterweeds farming. Reducing food imports. Delivering food exports. 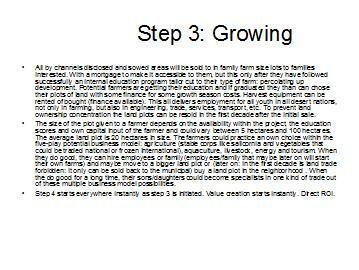 Family farms model, so not industrial farms focused. Less need for chemicals and fertilizer (low costs). Less need for water pumps and fuel (low costs). Reducing energy imports. Delivering energy exports. Less imports + more exports = better trade balance. Less imports + more exports = better monetary health. DQE (Desert Quantitative Easing) delivers no inflation. National DoD contacts. National Central Bank contacts. Food brands contacts. Food future market contacts. Guiding rain into the soil (cutting evaporation loss). Attracting/tampering rain fall (rain without floods). Preventing the arise of dust bowls / sand storms. 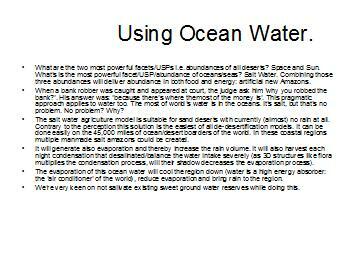 Using seawater irrigation and power/water generation. Delivering water supply to desert based cities. Our organization. Our offices. Our management. Our founders. Our track records. Our publications. Our financing partners. Our business partners. Our media exposure. Our media material depository. 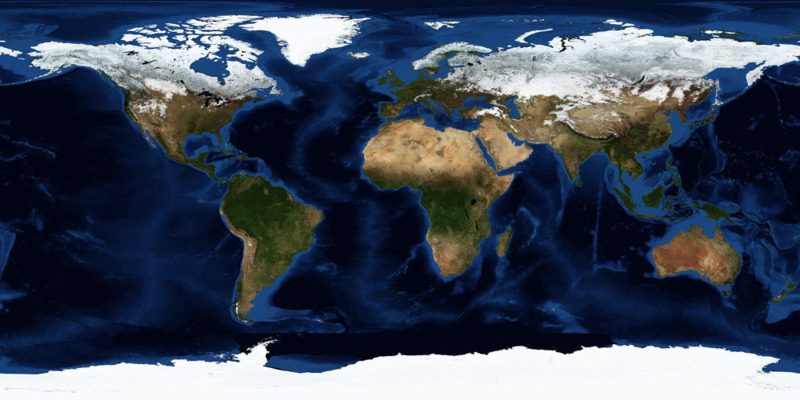 Global organizations that support us. Method / design / sequence / management / finance. Success is just the right combination of those five. View some online 'desert greening' guru TED talks. Combining all those available concepts needed. Get involved. Learn. Stay in touch. Network. Act. DesertCorp is developed within the Planck Foundation. PF has developed non-inflation / non-toxic QE models. Desert Quantitative Easing (DQE) is one of those. DQE is a combination of EQE/FQE/IQE/TQE/BQE models. All PF's xQE models are functioning 'percolating up'. Creating real economic growth with attached jobs. 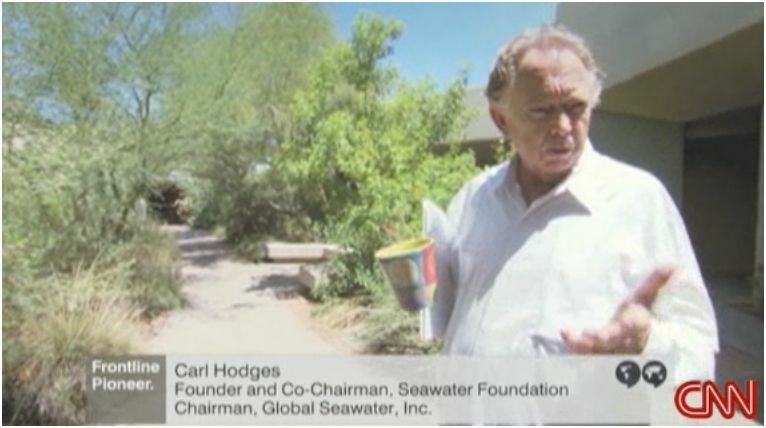 CNN broadcast on the sea water irrigated agriculture projects of Carl Hodges (for deserts with no rain at all). 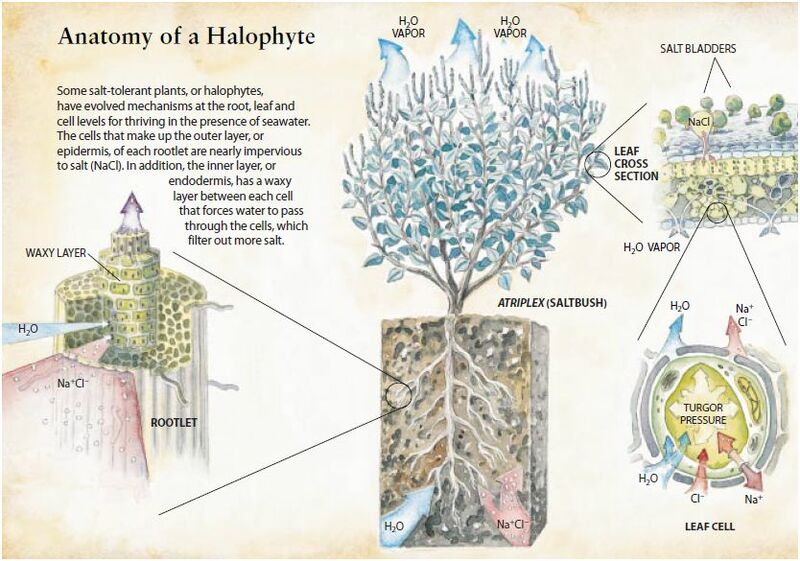 Dennis M. Bushnell | Chief Scientist at NASA's Langley Research Center on Halophytes (link to Salicornia). TED Amsterdam talk of Peter Westerveld on soil processing for rain absorption (for deserts with some rain). Plans for Energy and Food generation in the deserts of Marocco (an illustration of national development). 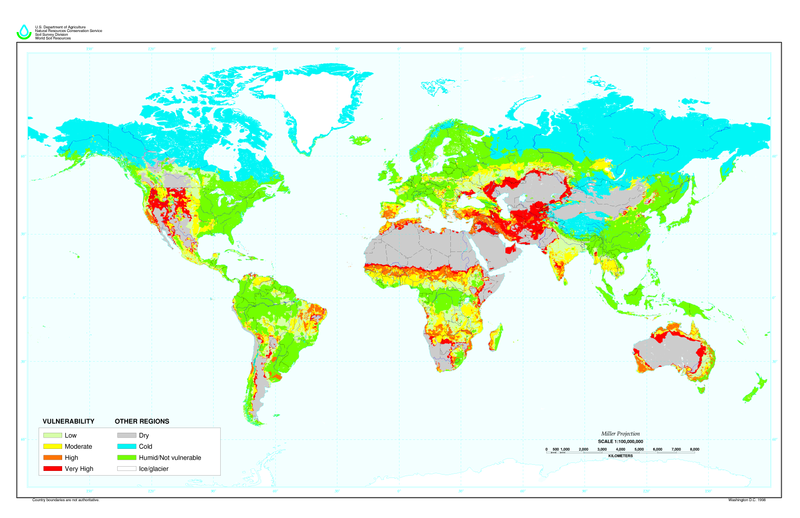 World Resources Institute's global water risk map (link to this online atlas). US DoE / NREL video on desert based CPS (concentrated solar power: produces both power and fresh water). 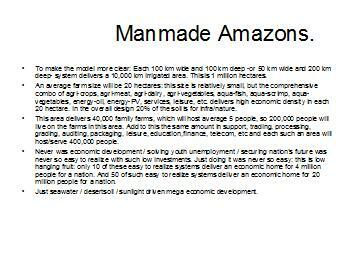 A seawater based sweet water and energy model to service the whole Dead Sea area. 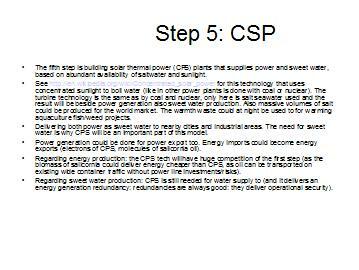 The micro CSP/PV model: on location supply of energy and sweet water (based on sea water availability).